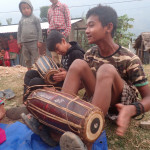 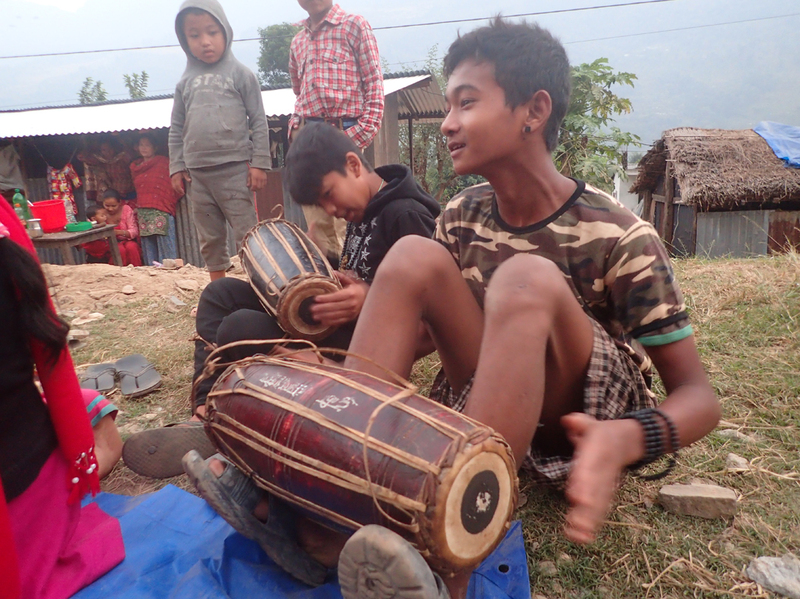 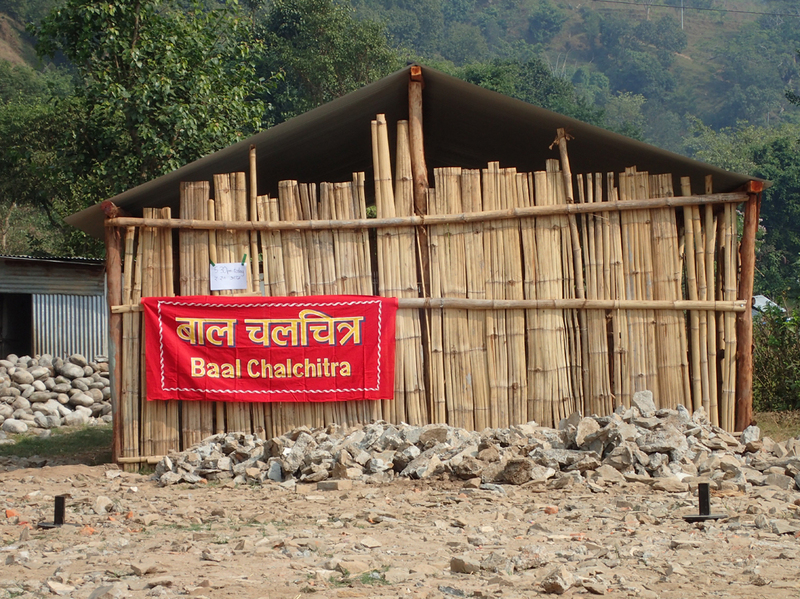 Now that we’re safely back in Kathmandu, here’s the first of our back-log of updates from our time in the Dhading region. 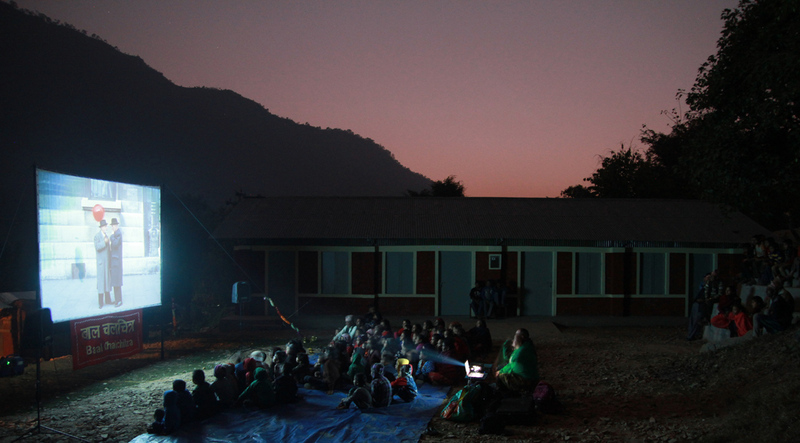 A lot happened, with 6.5 screenings and 2 workshops conducted in 7 days throughout 4 different communities as well as hikes, swims and plenty of spider watching. 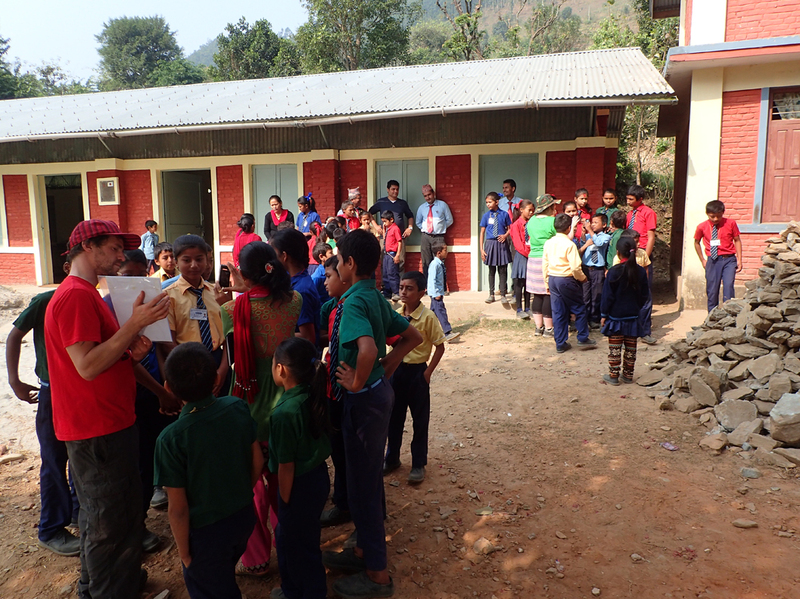 Here’s a look at our work in the two schools in the largest communities we visited, Khahare and Sukaura. 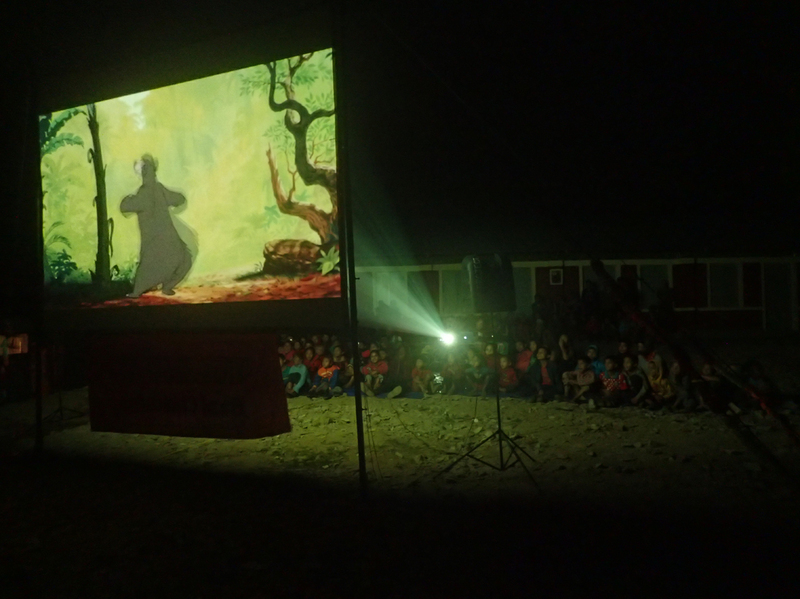 We conducted filmmaking workshops in both schools, as well as two screenings in each, although the first screening at Khahare school was a small screening inside a classroom, showing just a few shorts plus the films that the students had made earlier that day. 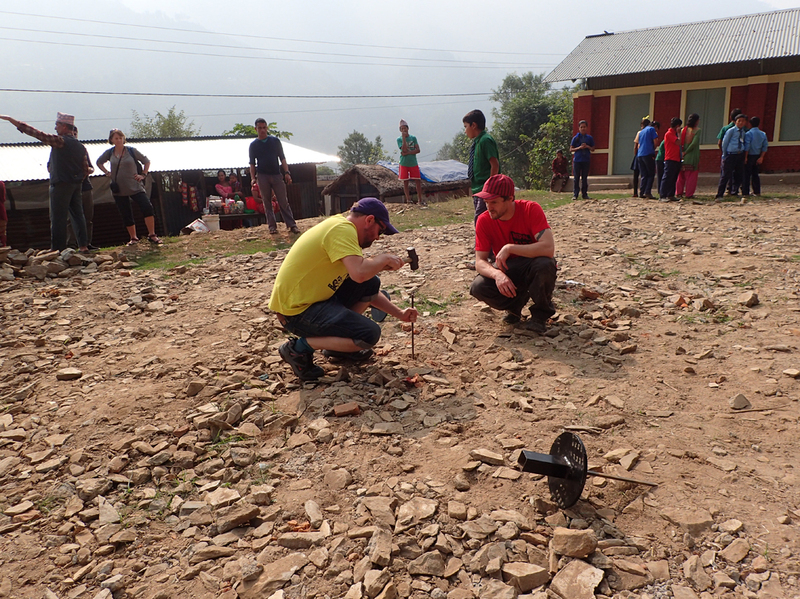 How is your life different now compared to before the earthquake? 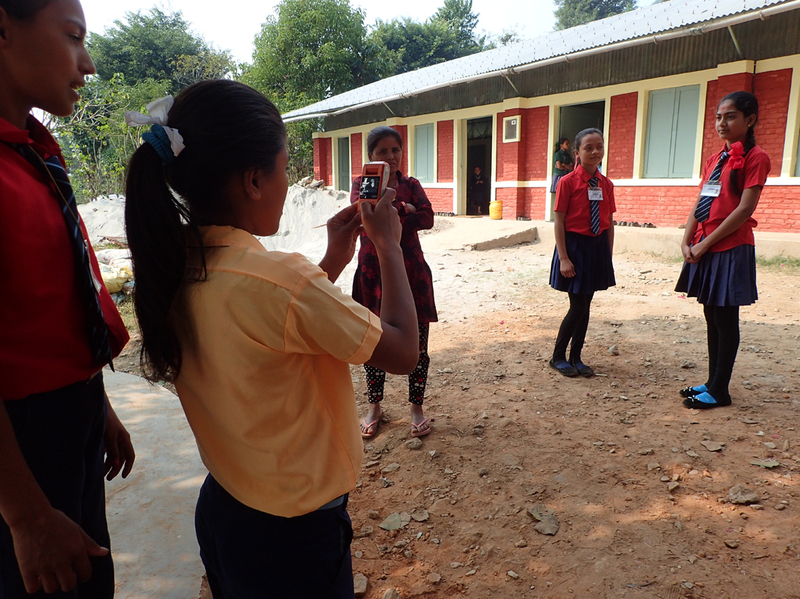 After a bit of help with translation the kids ran off excitedly to make their films, while we set about preparing for that evening’s screening. 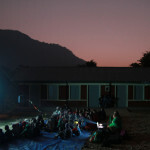 When the workshop time was up we hurried home for a quick spell of editing to sort through the films and select the best to screen back to the kids that night before our chosen feature, The Jungle Book. 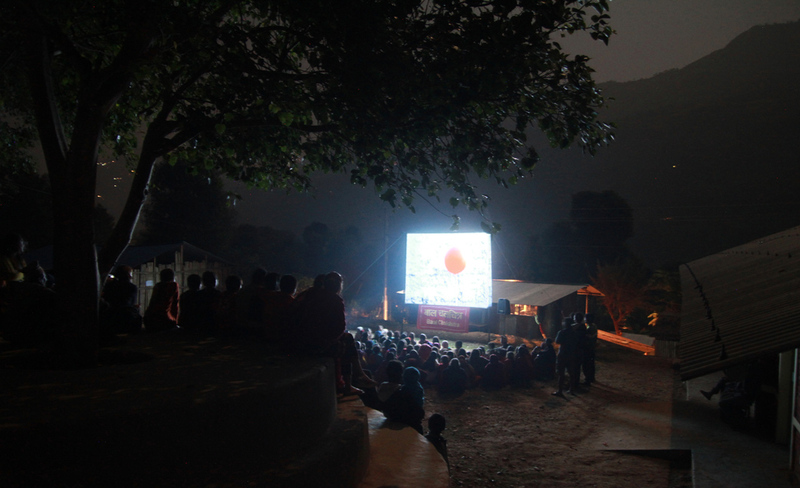 We returned to Sukaura a few days later for a second screening, this time playing The Red Balloon and How To Train Your Dragon. 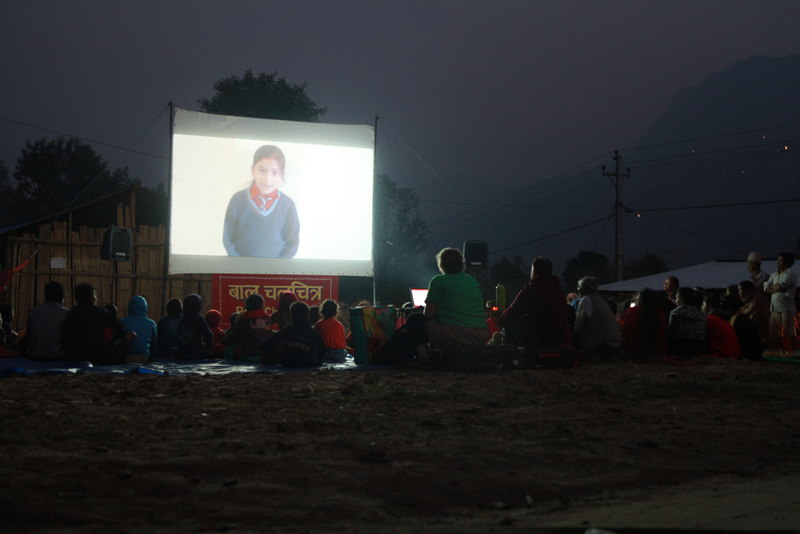 On our last evening in the valley we had our second screening at Khahare on a grander outdoor scale, screening the epic (2 hrs :40!) 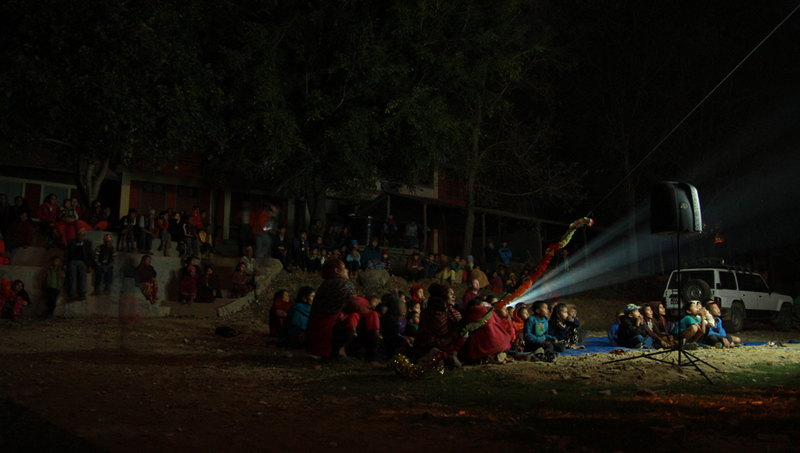 and wonderful Taare Zameen Par. 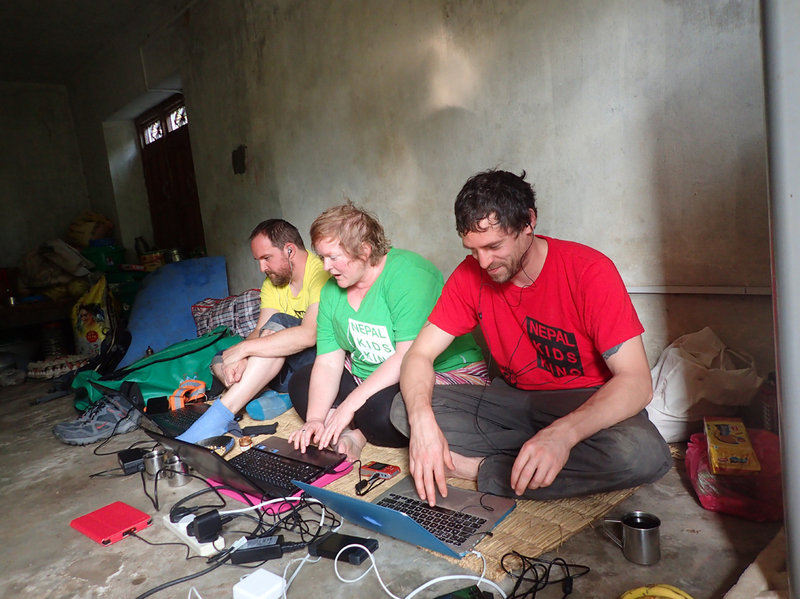 More photos from Sukaura and Khahare… it was hard to choose just a few! 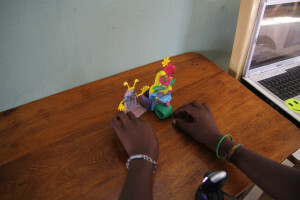 Click the thumbnails for the full picture, with notes. 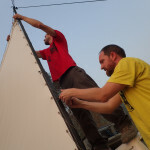 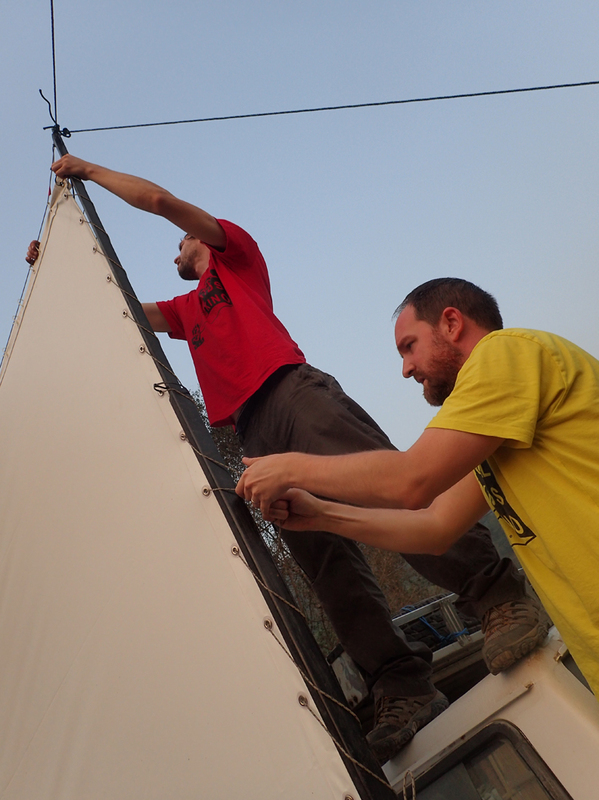 Alex & Dave fixing the tension on the screen – no stepladder now so we improvised with the jeep roof! 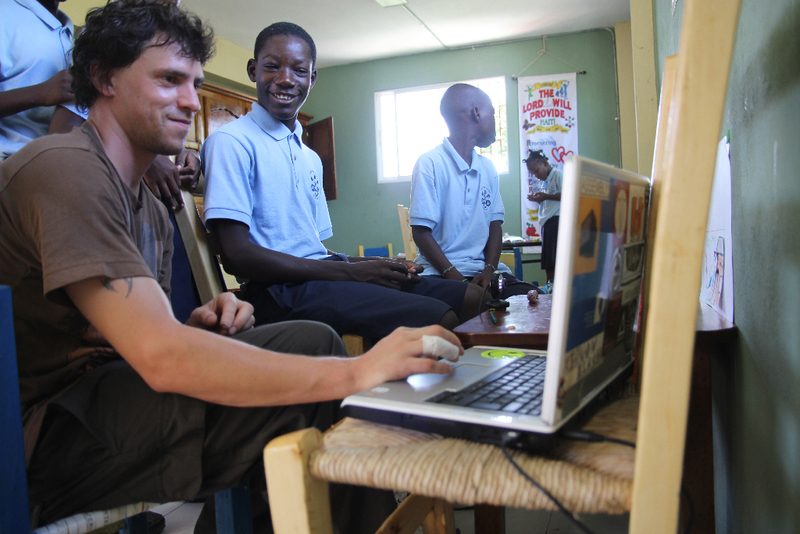 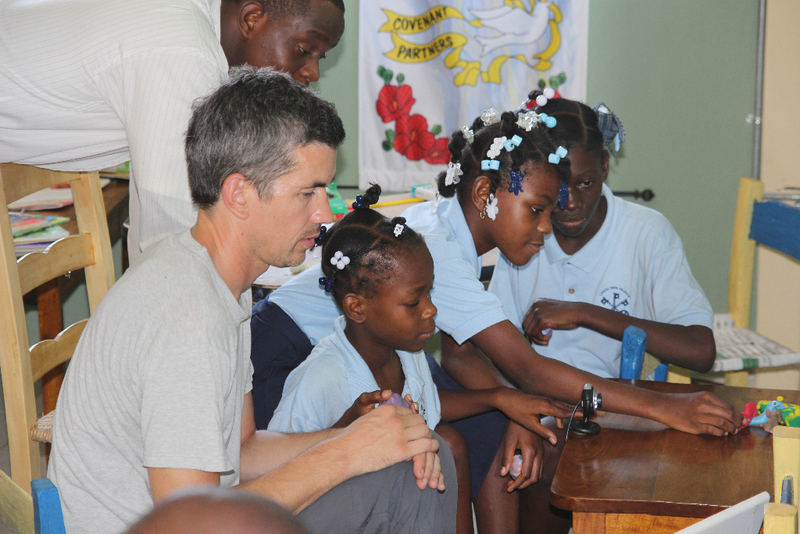 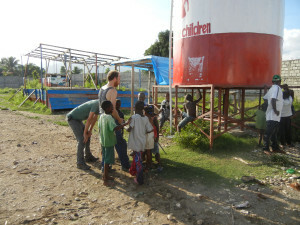 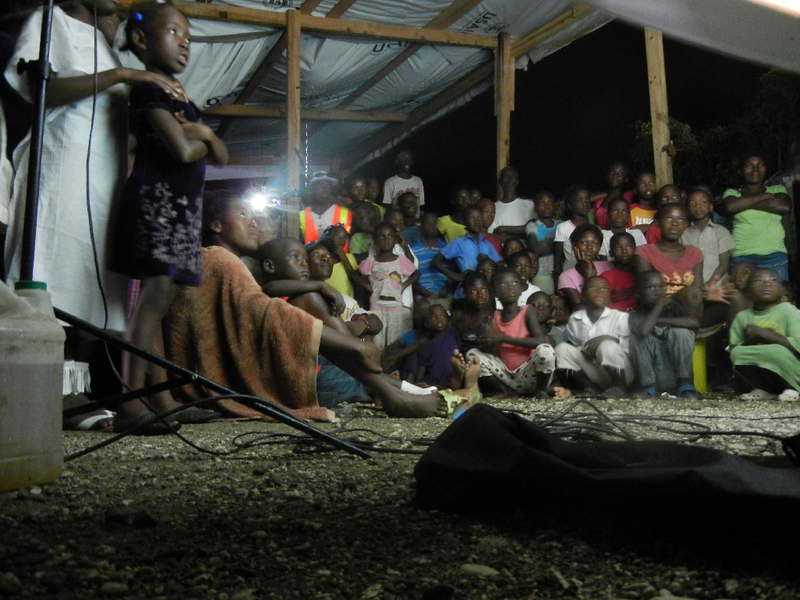 On Wednesday we left Jacmel for Leogane to do our last few screenings and workshops before returning to the UK. 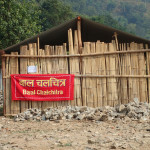 All Hands Disaster Relief (http://hands.org/)kindly invited us to stay in their compound and have been wonderful hosts. 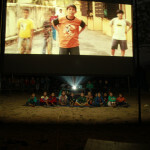 More filmmaking workshops & our biggest screening yet! 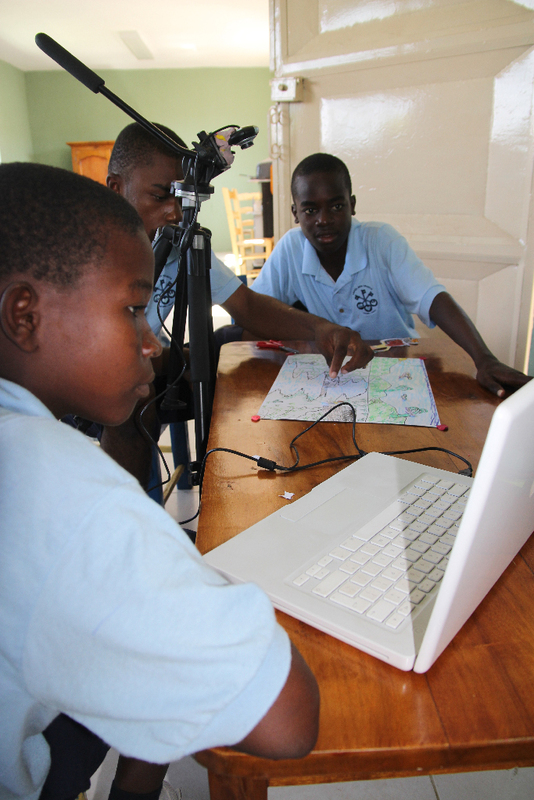 We showed the ‘Globe’ film that the Filton College students made for HKKP to the kids at Trinity House and thought it would be great fun to recreate it Haiti style! 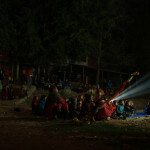 The result is a beautiful little film that Gary managed to put together with the kids in just a couple of hours, defying language barriers and production schedules left, right and center! 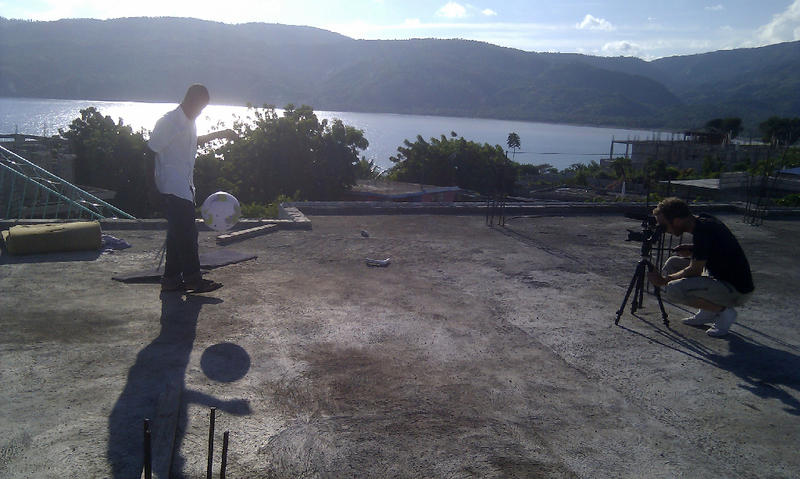 We’ll put the film online when we get back to the UK but for now here’s a shot of Gary filming on the roof of Trinity house. 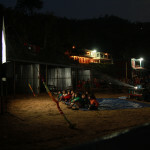 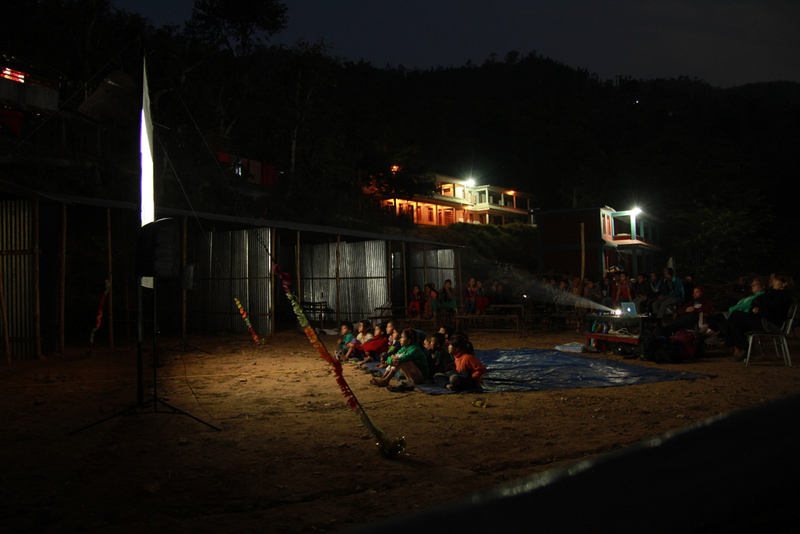 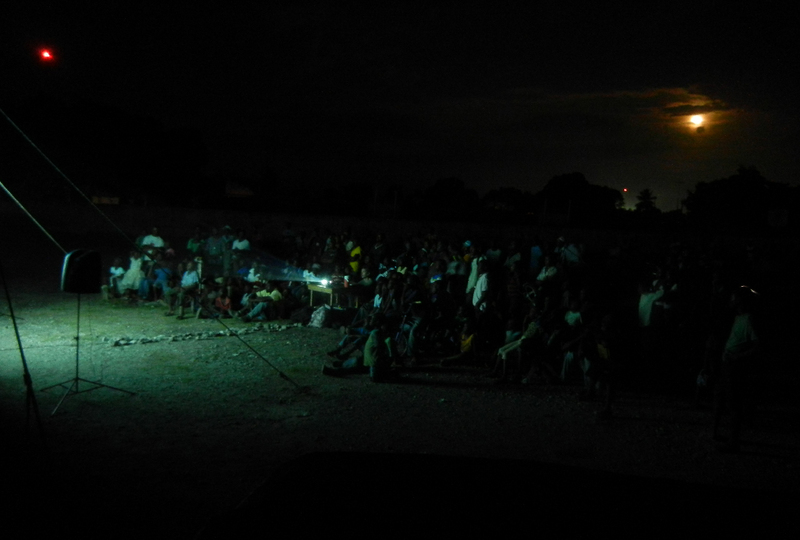 This weekend we’ve been screening to our biggest audience yet at a camp called Bodouin on the outskirts of Jacmel, here’s a piccy from the first night, more accomplished photos from Gary to follow! 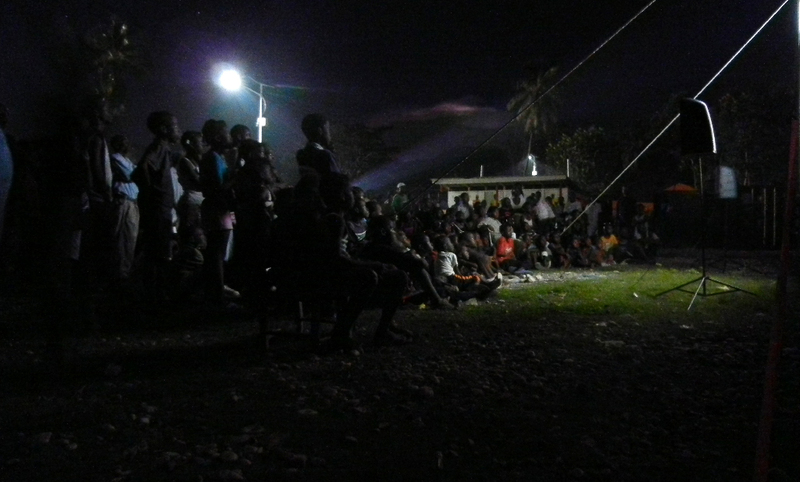 Last night was the 4th spent in Parc Pinchinat, formerly a football field, it has housed a tent camp since the earthquake. 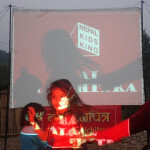 We originally planned to do just 3 nights, Friday, Saturday & Sunday, but Friday got rained off (after a fun afternoon of playing with the kids though, including a stars in yours eyes singing contest!) 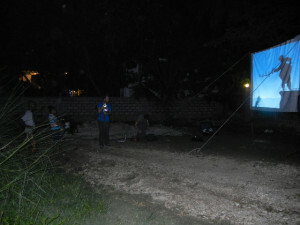 and so Marko and Gary returned for a 3rd night of films on Monday night (I was ill). 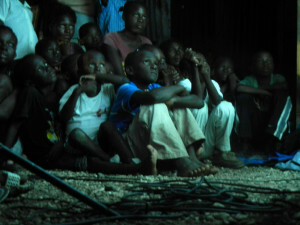 Saturday went off without a hitch, pictures of that soon. 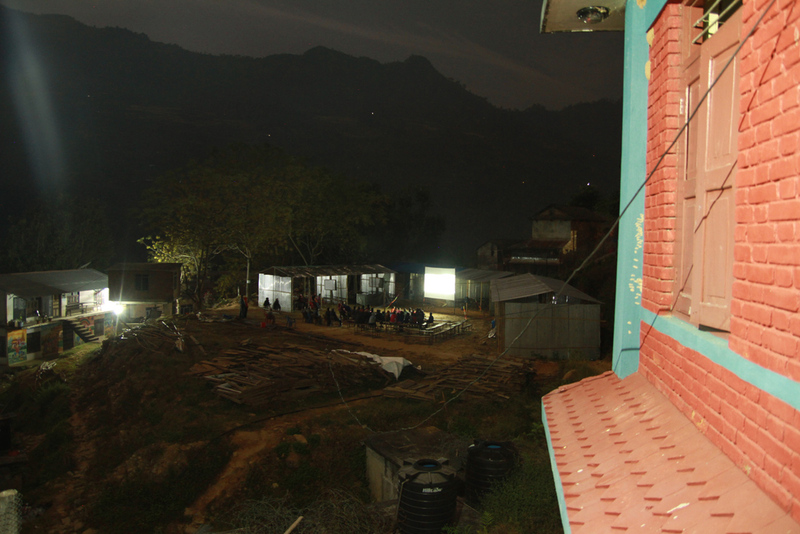 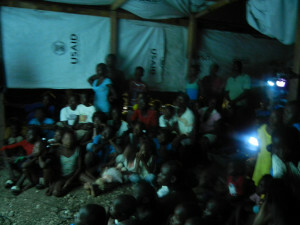 But for now, here’s some pictures of sunday night’s screening which was interrupted by a heavy downpour forcing us to hurriedly move the cinema into a USaid shelter mid-film, a bit of a panic but the atmosphere with everyone huddled into the little shack was really wonderful! 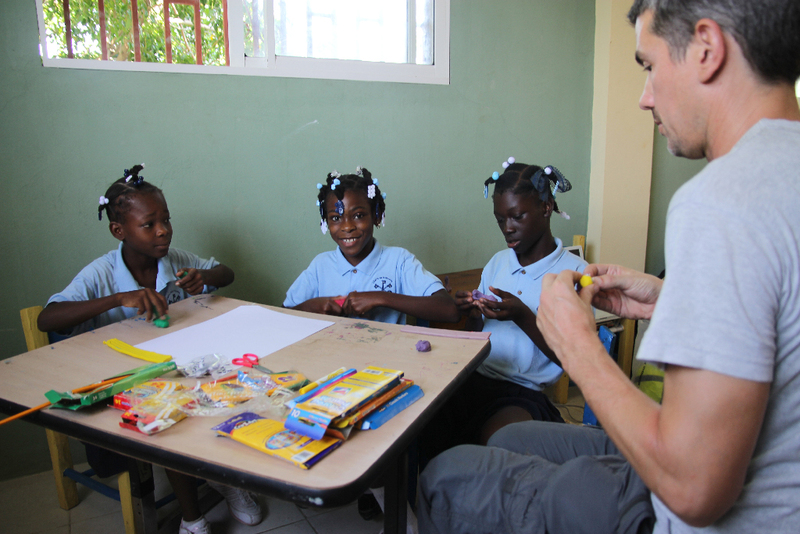 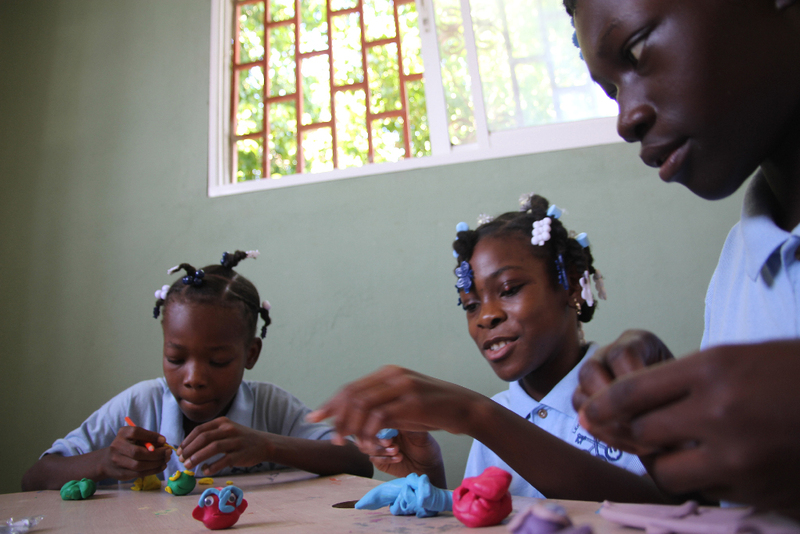 We’ve now done 2 days of workshops at a wonderful school/orphanage in Jacmel called Trinity House. We’ve been doing stop motion animation workshops with the kids, and Gary made a mini-documentary with them which we’ll show tonight on the big screen when we do a screening on the football pitch adjacent to the school. 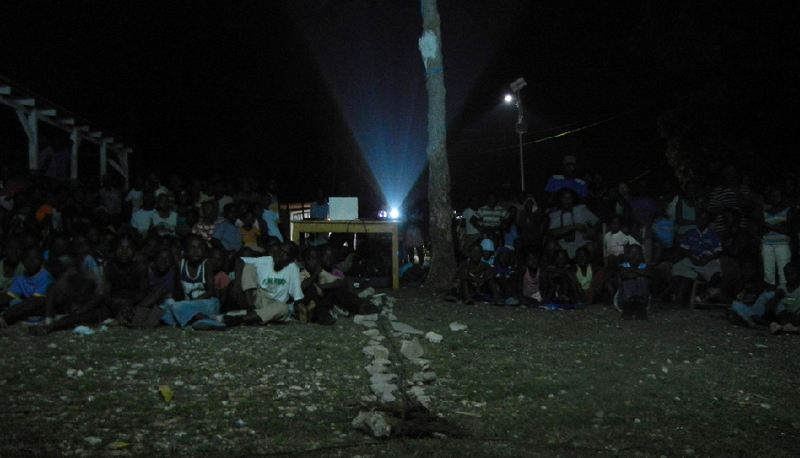 Last night we did our first proper screening in Jacmel, at Port ail Leogane. The Kids Kino attracted an audience of around 150-200 people, mostly children under 10 and we showed a mix of films including both western and Haitian shorts, as well as the feature ‘Kirikou’ – which the kids really went went wild for! 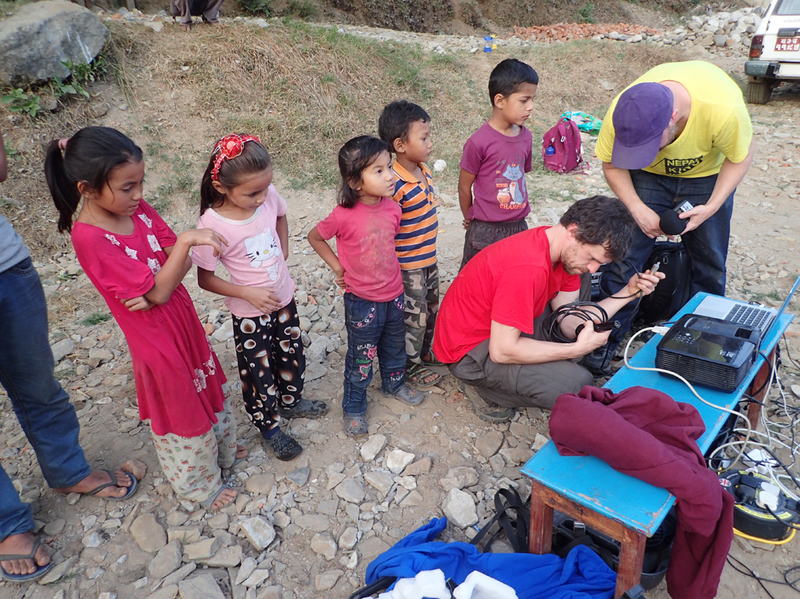 Gary did some filming with the kids while we waited for it to get dark and has edited a short film out of it, we’ll be playing it back for them on the big screen when we go back for a second round of screenings tonight. The team arrived safely in Haiti on Wednesday, and after picking up the equipment left in Port Au Prince from the last trip, we made our way to Jacmel. 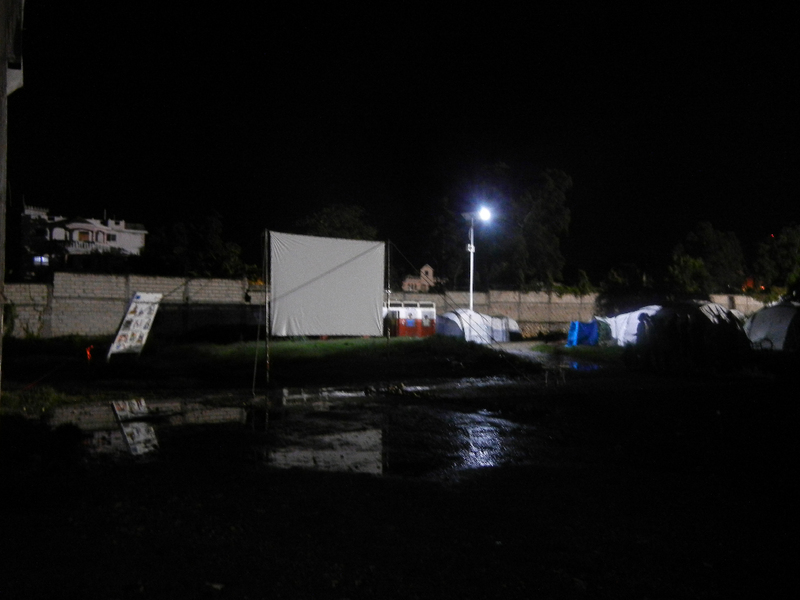 Yesterday we had a successful day of shopping for cinema essentials (ropes, hammer, tarpaulin, etc) followed by visiting some tent camps and other potential screening venues. 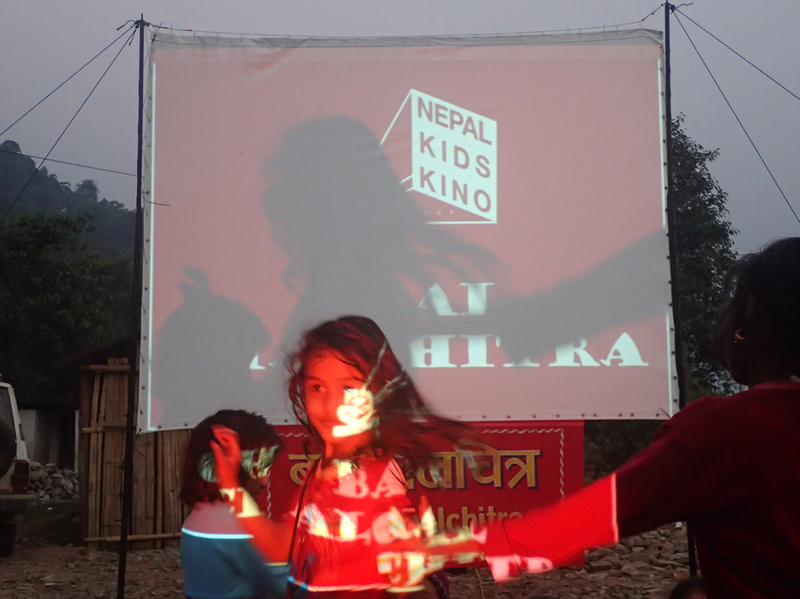 We ended the day with a test rig of our cinema setup which concluded with the screening of a couple of short films to a gathered crowd of about 8 kids! 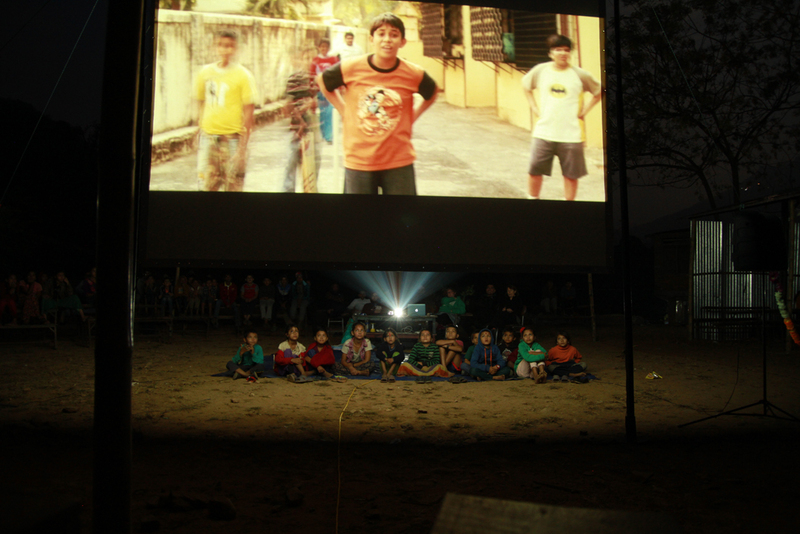 A great day in all and we expect to put on our first full scale screening tomorrow (Saturday).